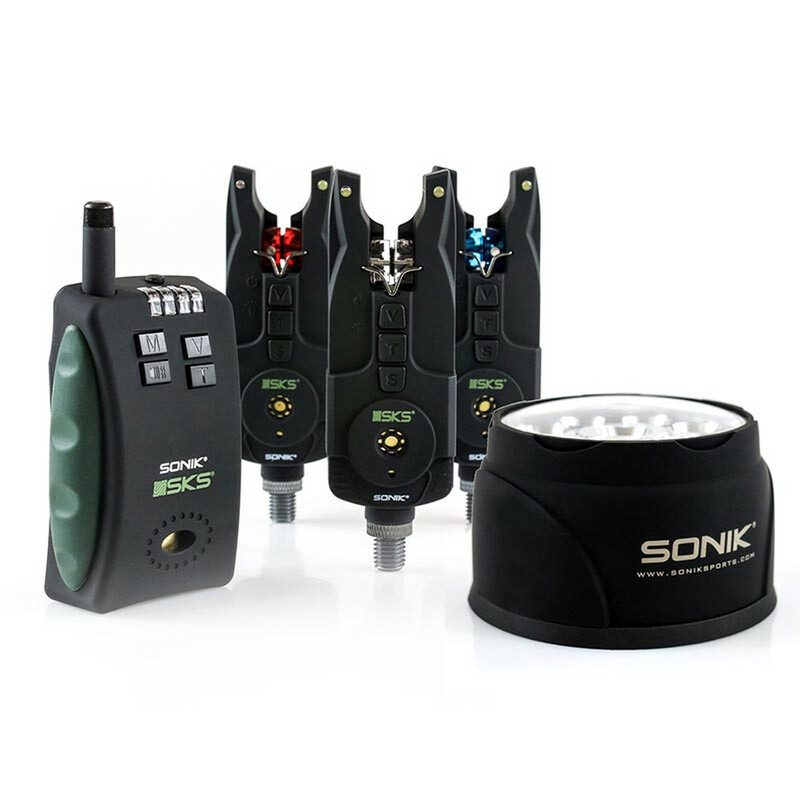 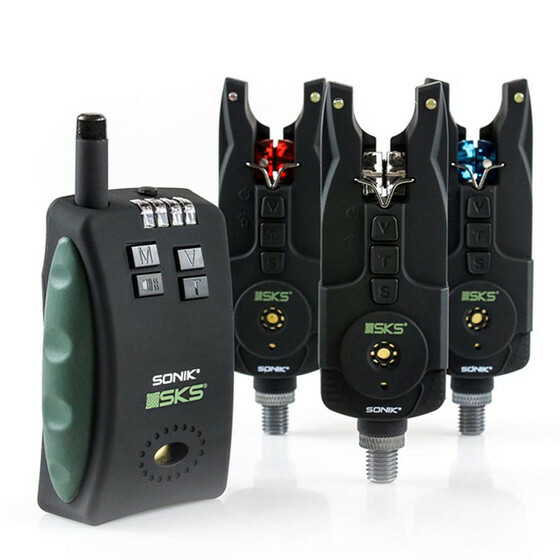 The new state-of-the-art SKS bite alarms from Sonik are compact, lightweight and packed with all the latest technology to provide the important features the modern carp angler requires. 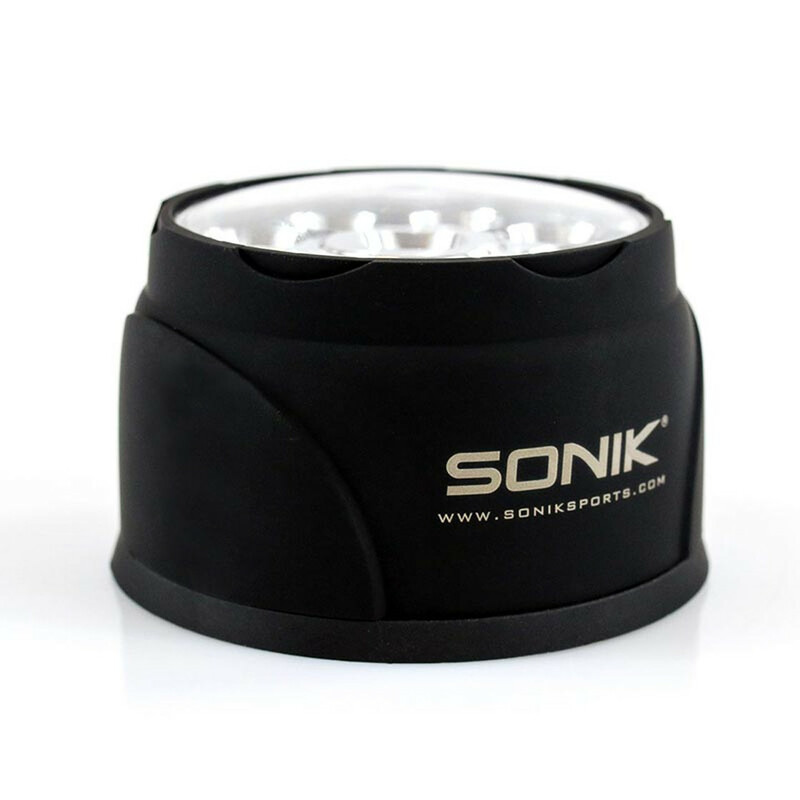 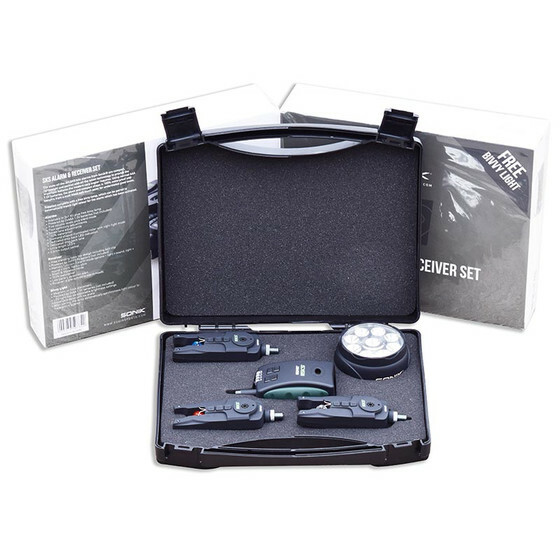 Using normal AAA 1.5V batteries, the sleek and compact shape is 100% waterproof and benefits from a matt black soft tough paint for understated good looks. Supplied complete with a free bivvy lamp, which can be paired to automatically match light colour for the alarm which has sounded.